A New Engine…Why the Hell Not? As you know, I already have an engine for the 818, which is from a 2006 STi donor, but I have been going back and forth about whether I should rebuild it or not for quite some time. The prevailing thought has been…just get the car running and then next winter, rework the engine. After I realized all of the work that would be involved in removing the engine, as well as the transmission, axles, and rear suspension, I decided that there is no better time than now to get it done. I would also have an eye on the future. This new engine should have a rock-solid bottom end to minimize any need to remove the engine for service and would allow remaining performance enhancements to be bolted on. I just received a short block from Crawford Performance. From a bang-for-the-buck standpoint, I chose their Stage 3 block with forged H-beam connecting rods over their other options. 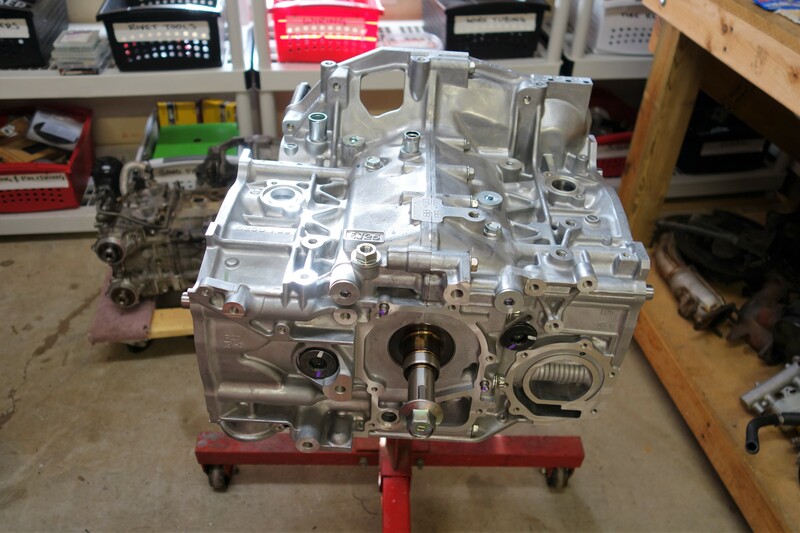 They start with a factory new EJ257 block with semi-closed deck, forged STi crankshaft, STi bearings and piston rings. Then comes the longer-than-stock connecting rods and offset forged pistons. This combination will give an 8.3:1 compression ratio when used with STi cylinder heads. That ratio will allow room for boost-related performance upgrades later. Well, if you are going to have a sweet new short block, you can’t just bolt your crusty old heads on there. There seem to be even less confidence-inspiring options around when it comes to where to spend your money on modified cylinder heads. After toiling over research, I was resigned that I would just go for it and buy a set of Cosworth heads. After ordering a set from Flatirons Tuning, I was informed by Scott Musgrove that it appears Cosworth has ceased retail operations in North America. Scott made a few calls, to other Cosworth dealers, I presume, and found that Rallispec is producing their own heads with similar specs as the Cosworth heads. 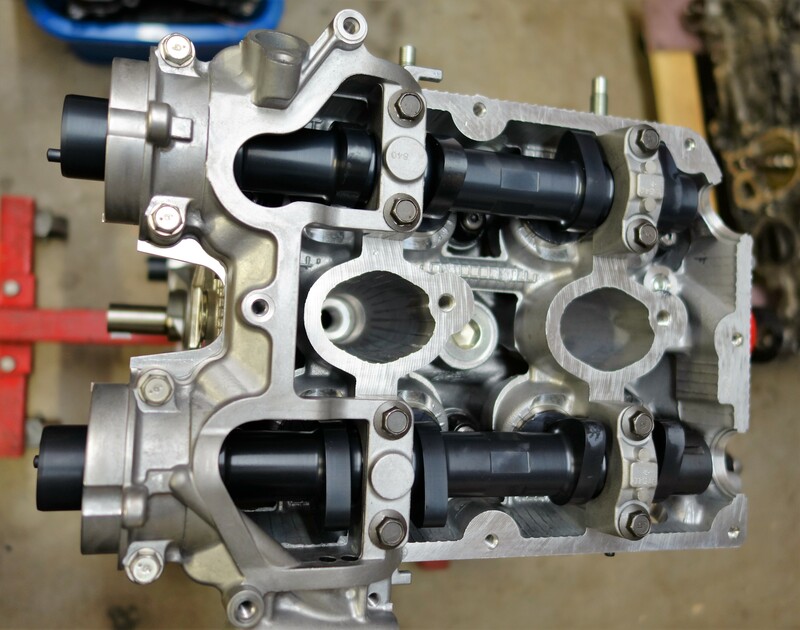 So, if you are looking for top-shelf heads for your Subaru, look to Rallispec. These new heads just arrived, and they are beautiful to behold. They start out as new Subaru castings, get a 5-axis porting, 1mm oversized Supertech Inconel exhaust and nitrided stainless intake valves, Supertech dual springs, new lifters, and GSC Stage 2 cams. The porting job on these is excellent.